In Malaysia, Red Bull (Product Of Europe) has introduced a larger pack size 473ml and is now available at 7-Eleven convenience store. 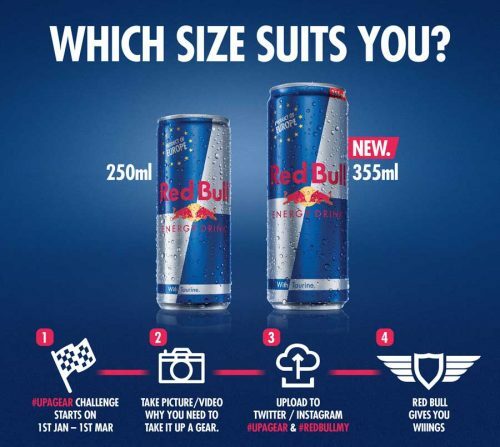 This comes of the heel of the unveiling of the bigger 355ml pack size at the end of 2014 with the “Which Size Suits You” campaign. 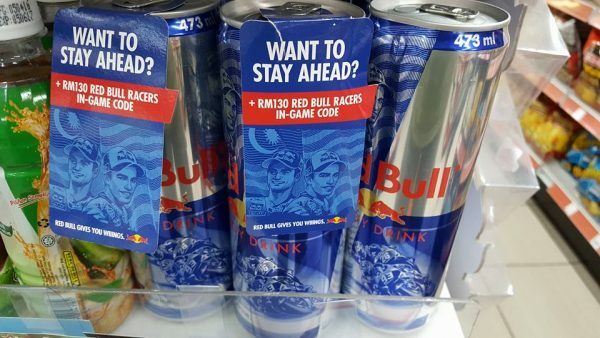 To connect with sports car enthusiasts and gamers, the 473ml pack provides RM 130 Red Bull Racers in-game code. Red Bull Racers is a racing game app that scores 3.9 out of 5 in Google Play. The 473ml Red Bull (Product Of Europe) is also the energy drink with the biggest pack size in the market. 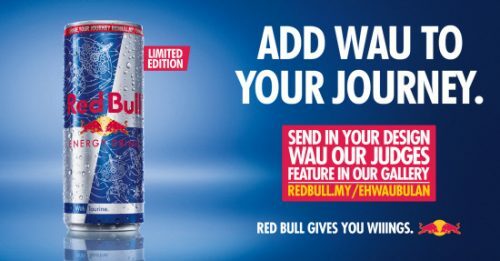 Previous Red Bull campaigns included the limited-edition can featuring the wau bulan (Malaysian kite) designed by street artist Fritilldea available from April 2016. The objective was to cultivate street and contemporary art scenes and its talents. What makes the new Red Bull Plus unique?